It is a rare day where I state that I am hereby changing up my entire skincare routine just to accommodate one skincare item in particular. 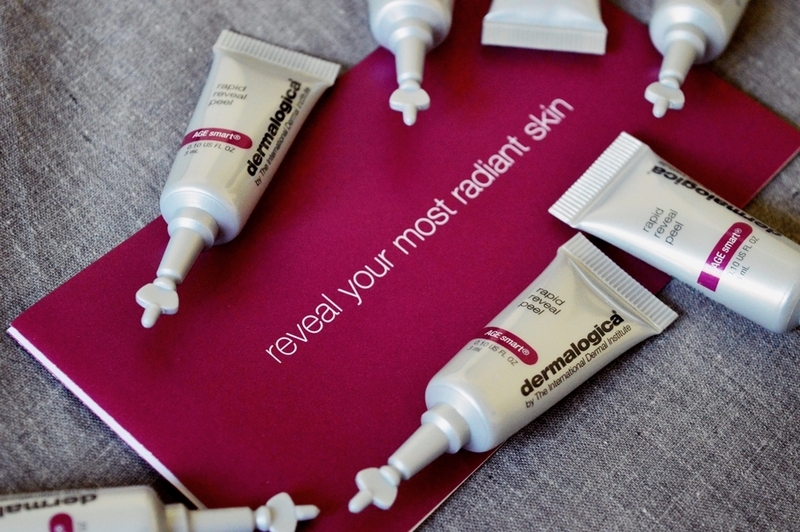 But that is exactly what happened after just two uses of the rapid reveal peel from dermalogica. I spoke to this product about three times on Instagram stories over the last month. The product can only be used once a week UNLESS you opt for the accelerated time period of every three days. Alas I have no important events to attend so I went with the once a week option. 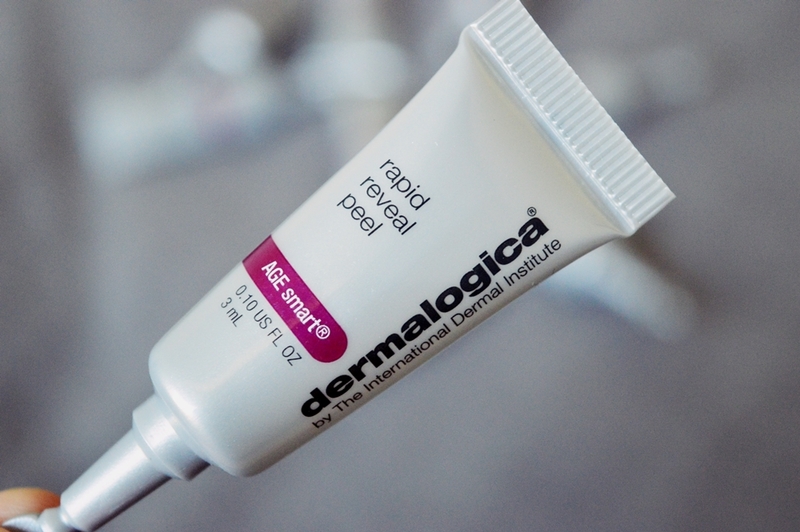 And I could NOT stop absolutely RAVING about the rapid reveal peel. To be honest though, I have seen nothing but good reviews and comments on these little tubes of fabulousness. 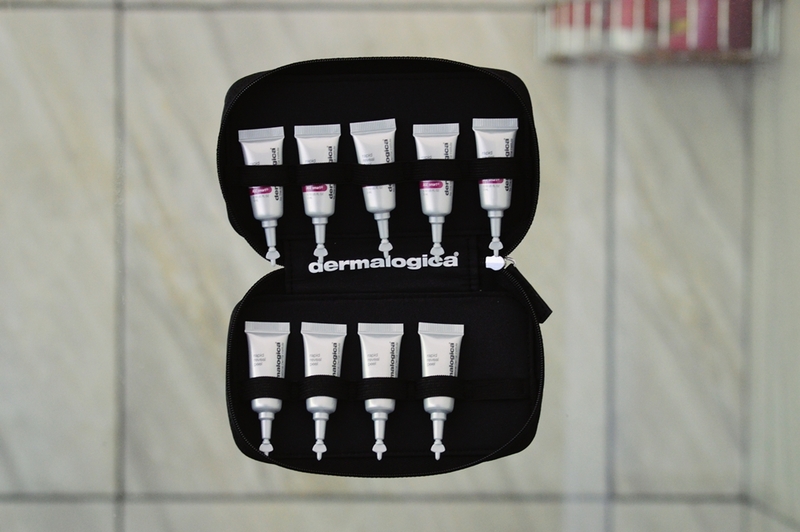 dermalogica is and always has been known for their innovative, ahead of the curve products but this professional-grade at-home peel takes innovation to new heights. So starting off, I want to chat a bit about my skin’s current condition. I am 25 with dehydrated and dry skin. I have fine lines on my forehead and very faint creases underneath my eyes. My smile lines are at a medium in the awfulness scale… they are not terrible but I do notice them. I hardly struggle with pimples other than the occasional hormone monsters on my hairline once every few months. 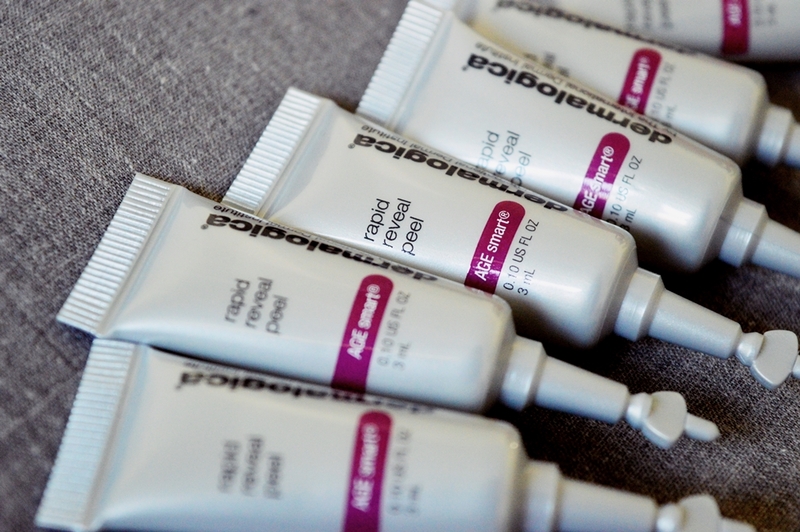 The rapid reveal peel has been developed and formulated to target those fine lines and wrinkles while also revealing new and firmer skin. Now… where have we heard that before?? Oh that’s right, on almost every other skincare product EVER! It is just so exhausting spending money and time on products and spa visits for treatments that amount to thousands and thousands per month, to not see the results you have been promised, right? But I – hand on my Gucci handbag and wallet – saw results after just two uses of the rapid reveal peel. TWO USES! – On the third day after my second use I noticed a smattering of congestion on my right temple. A place I NEVER get pimples. These lasted one day before revealing smooth and soft skin. Like I said, I can not rave about the rapid reveal peel anymore. 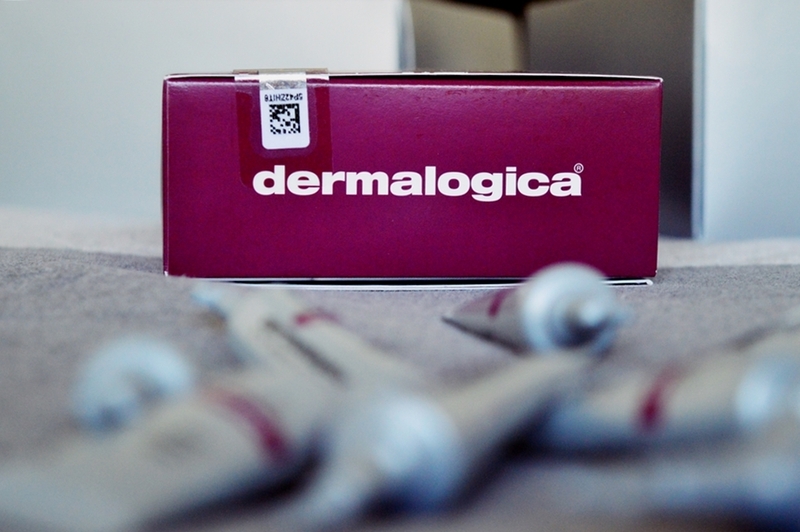 I have used three at-home peels with results no where near the dermalogica peel. I have even been more professional facials in spas which did not impress me as much as this did! The product is also straight forward and user-friendly. Simply twist the top of the nozzle off, dispense the product into your hands and massage into your face. Leave the product on for 3 – 7 minutes (I ALWAYS leave mine on for 7), and rinse off. One thing I will warn you about is the warming effect of the phytoactive AHA extracts and lactic acid. It REALLY warms up on the skin and it actually gave me quite a fright! It feels absolutely amazing afterwards though, and upon my second use (one week later) it no longer felt like it was heating up on my skin. Your skin simply needs to adjust to the maximum-strength exfoliant. Extra ingredients include; Pumpkin Fruit Enzyme and Rice Bran Extract to even the skin tone by resurfacing the skin and accelerating cell turnover. Also included in the ingredient list is the Smoothing Australian Caviar Lime Extract. This brightens the skin for a more radiant complexion. 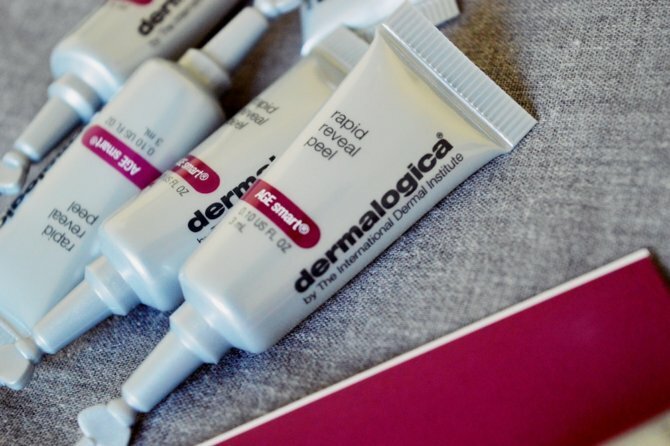 Lastly, fermented plant enzymes help encourage the new and firmer skin. And as for the packaging.. how cute is this little travel bag with built in suction cup? You can see from my images I keep mine stuck up on my shower, right next to my basin. And really, it lives there! This was not just for blog photo purposes. I absolutely adore how hygienic and user friendly the little individual tubes are. These allow you to dispense the exact correct amount of product, and also ensures there is less wastage. It also makes the product VERY travel friendly. And I am going to end this post here. Even though I feel like I could go on for PAGES! Honestly, I am besotted with my rapid reveal peel (I am currently on week 4) and I WILL be repurchasing this set once it is finished. Have I convinced you to put this onto your birthday or Christmas wish-list? Great review! I’m sold…must have it!!! lol.